“We have a dairy processing and packaging facility that was built circa 1994. At the time of construction we chose to install a flooring system which was vinyl ester based with fiberglass mat. The floor has held up quite well in areas where it had a good bond. The failures we have seen are in areas that covered either an expansion joint or control joint in the concrete. In these areas the flooring has delaminated from the concrete. Where possible we have made a clean cut through the flooring to an area where we had a good bond and left the concrete exposed. Other failure areas are around floor drains. We have made repairs with quick curing epoxies in the past but these don’t seem to bond well to the existing vinyl ester flooring. I have personally made many thousands of square feet of floor repairs that sounds exactly like the issues and conditions that you are describing. Here is what I did to permanently resolve the issue, at least in the patched areas. Cut back the edges of the delaminated areas back to a point where the vinyl ester is well attached. Prep the concrete under the failed area and the edges of the old material – epoxy.com/surfaceprep.aspx. Allow to cure hard to the touch and cool. Please email your additional questions to norm@epoxy.com or visit http://www.epoxy.com . Epoxy.com Product #225 Water Cleanable Epoxy Tile Grout and Adhesive is a user friendly, water cleanable, 100% solids epoxy grout and adhesive and Filler Powder . 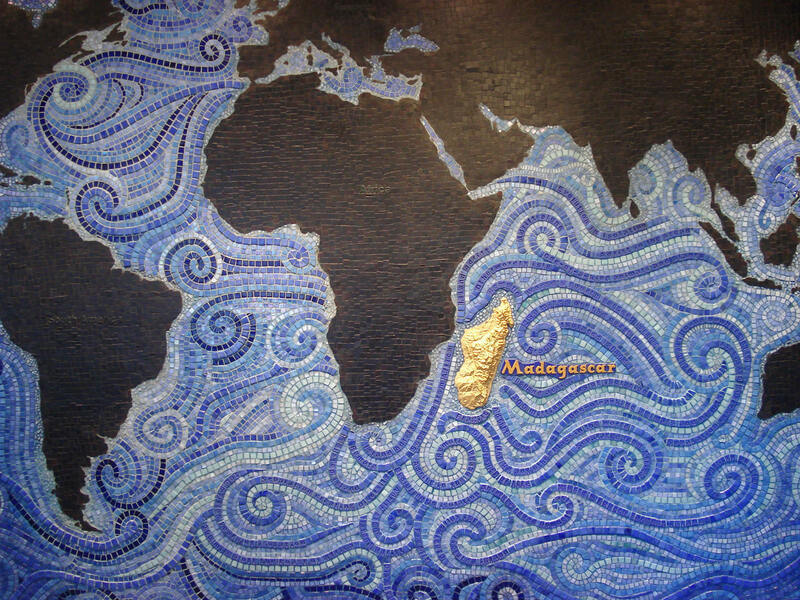 Used for grouting ceramic tile, brick pavers, and stone, Epoxy.com Product #225 Water Cleanable Epoxy Tile Grout and Adhesive is supplied in pre-packaged kits containing resin, hardener, and mineral fillers that produce a dense, uniform seal. 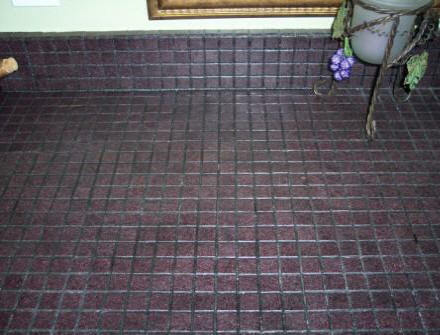 Typical applications for Epoxy.com Product #225 Water Cleanable Epoxy Tile Grout and Adhesive require resistance to thermal shock, chemicals, and heavy traffic including meat packers, breweries, canneries, bottlers, CIP areas, and pharmaceutical formulators. Surface Preparation is the most critical portion of any successful resinous flooring system application. Work must be performed by trained or experienced contractors or maintenance personnel. Epoxy.com service department is pleased to answer any questions. 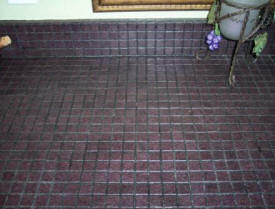 Before grouting, clean joints and the tile surface with a damp sponge to remove dust, dirt, and other contaminants. Do not leave water standing in joints. Do not clean tiles with acid cleaners. Empty entire contents of Epoxy.com Product #225 Water Cleanable Epoxy Tile Grout and Adhesive Part A and Part B into a clean mixing pail. With a slow speed drill or margin trowel, mix until liquids are completely blended. 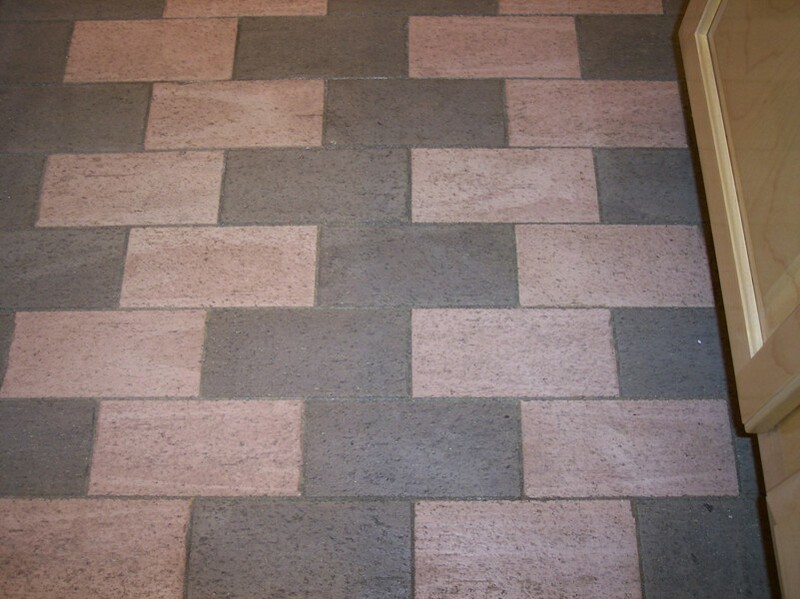 Add at least ¾ of the TILE GROUT FILLER (more for wide joints) and blend until uniform. Protect from exposure to chemicals and harsh cleaners until fully cured. Pour mixed Epoxy.com Product #225 Water Cleanable Epoxy Tile Grout and Adhesive onto working area. Following standard epoxy and grouting techniques, apply to surface. 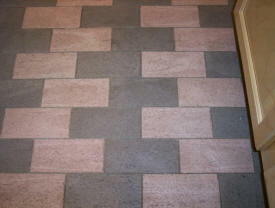 Be sure all grouted joints are completely filled. Remove excess grout with grout float. Do not leave excess grout on face of tiles. For complete installation instructions, contact Epoxy.com Technical Service. Some tiles and pavers can be stained by color pigments in Epoxy.com Product #225 Water Cleanable Epoxy Tile Grout and Adhesive. Try small area to determine results before grouting entire surface. Clean skin with soap and water. Tools and equipment should be cleaned with xylene or lacquer thinner. Consult Material Safety Data for safety and health precautions. Epoxy.com Product #225 Water Cleanable Epoxy Tile Grout and Adhesive is available in custom colors, subject to laboratory approval, minimum quantity, lead time for production, and increased cost. Click the picture of color card below for a larger version of this picture of the color chart. Please note: The picture to the right is a photographic reproduction of the color card for this product. The photo reproduction process and your monitor and/or printer will change these colors. This chart is to give you an idea of the colors available and not intended for critical color selections. Need help figuring out how much Epoxy.com Product #225 Water Cleanable Epoxy Tile Grout and Adhesive you will need. Use the Epoxy.com Product #225 Grout Calculator. Office Hours: 9AM-4PM Eastern Time (6AM-1PM Pacific Time). Closed 12Noon-1PM Eastern Time for Lunch. It is that time of year again. 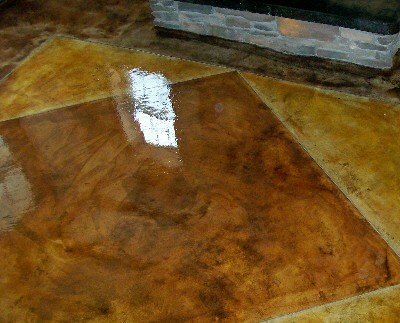 If you have Epoxy Stone Overlays you know it gives beautiful natural look. The Epoxy Stone Overlay looks like wet shinny rock. It allows water to flow more naturally, giving you additional drainage in areas that you are walking where you feet might get wet if it is raining or near a water source like a pool. Epoxy stone overlays need to be reglazed from time to time. That is true about epoxy stone overlay systems available from us or from anyone else. In some parts of the country in the direct sunlight this could be every year. Other parts of the country with less sun might be 5 or more years. If you wait to long to reseal your stone it will start failing as the bond breaks down between the individual stones. The stones will then start becoming loose. If not resealed soon enough eventially the whole system will fail. Sealing at proper intervals with the right material is the only way to prevent this. If you don’t want a system you need to maintain, we have other (non rock) systems that require little or no maintanance. Resealing the Epoxy Stone Overlay. Product #15 Chemical Resistant Epoxy Floor Resurfacing System is typically used for resealing epoxy bonded stone. Product #15 Chemical Resistant Resurfacing system oxidizes much slower than other epoxies, and usually last much longer than other epoxies used for reglazing epoxied stone pebbles. You don’t want to use other epoxies that oxidize excessively unless you are willing to reglaze 1.5 to 2 times more often than with Product #15. 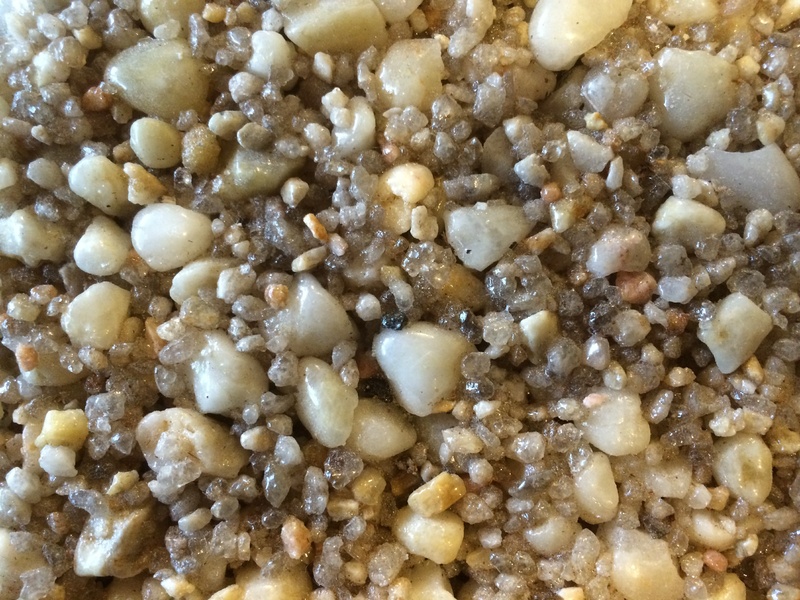 The Product #15 Epoxy to reseal your stone not only adds shine back but actually reinforces the connections between the stone. Never use acrylic and other sealers commonly sold at big box stores to reseal your stone. These non-epoxy sealers add shine back to the stone, but doesn’t do anything to reinforce the bond between the individual stones. Worse yet unless the single component non-epoxy sealers have totally been warn away, they will act as a bond breaker preventing future epoxy resealing from getting to the surfaces they need to get to, in order to give you your original strenth back. Conductive and Electrostatic Dissipative (ESD) flooring are used on floors in facilities that need protection for stray static discharges. One example of static discharge is when you walk across a carpet in a very dry room in winter then touch a metal object or another person you get that little electrical zap. Most people find this a bit of nuisance. However if you touch a hard drive or a circuit board and create that same discharge you can damage it beyond repair. Worse yet if you get a static discharge in a chemical or munitions plant where there might be a potentially explosive environment the results can be a catastrophic explosion. What is ESD Versus Conductive? where I is the current through the conductor in units of amperes, V is the potential difference measured across the conductor in units of volts, and R is the resistance of the conductor in units of ohms. More specifically, Ohm’s law states that the R in this relation is constant, independent of the current. Simply speaking the resistance is the ohms of resistance that we are talking about above. The lower the ohms of resistance the stronger the conductive medium to conduct the static charge away. The lower the ohm of resistance the more efficiently the conductive/ESD flooring carries the static charge safely away. .This is one situation where the smaller the number the better. How does Conductive and Electrostatic Dissipative (ESD) flooring Work? Think of your Conductive and Electrostatic Dissipative (ESD) flooring as a grounding rod. A grounding rod is that metal rod that gets driven into the earth to increase the surface area coming in contact with the ground. You then attach your building ground or lightening rod to that grounding rod. The Conductive and Electrostatic Dissipative (ESD) flooring is much like that. It makes the whole concrete surface that the Conductive and Electrostatic Dissipative (ESD) flooring comes in contact with a large grounding plane, acting much like a grounding rod. In some facilities this effect is enhanced even more with the installation of grounding strips that the Conductive and Electrostatic Dissipative (ESD) flooring connects to the grounding rod(s). .
Where do you use Conductive and Electrostatic Dissipative (ESD) flooring? Typically ESD flooring is used in areas to protect electronics. Conductive is more commonly used where there is the potential for an explosive environment. Most facilities that require ESD flooring can use conductive flooring as well. The reverse is typically not true. Facilities that require Conductive Flooring typically cannot use ESD flooring. The good news is that most Epoxy.com ESD flooring can be made to be conductive by first priming with Epoxy.com Product #671 Conductive Primer Sealer – www.epoxy.com/671.aspx. Epoxy.com has a wide variety of conductive and ESD flooring systems. Product #671 –www.epoxy.com/671.aspx – for example can be applied with one coat as a primer and one coat as a top-coating creating a highly conductive flooring system at a very low cost. Product #1ESD – www.epoxy.com/1esd.aspx – is available in 15 colors. It is 100% solids making it an ultra high solids bis-A epoxy floor coating designed to provide electrostatic control properties to various surfaces including concrete or other nonconductive substrates. The use of a conductive primer will transmit conductive readings through ESD (Electrostatic Dissipative) Epoxy Coating for ESD Flooring Epoxy.com Product #1 if applied no thicker than 15 mils. Epoxy.com Product #674 – Electrostatic Dissipative Urethane (ESD) Coating is a two component, Electrostatic Dissipative chemical resistant, polyurethane coating. The high gloss finish offers excellent abrasion resistance, chemical and stain resistance, and superior color retention. Epoxy.com Product #674 – Electrostatic Dissipative Urethane Coating can be used equally well on vertical or horizontal surfaces. It is ideal for concrete floors and walls in warehouses, storage facilities, aircraft hangars, animal housing, and vehicle maintenance facilities. Available in both clear and pigmented formulations, Epoxy.com Product #674 – Electrostatic Dissipative Urethane Coating can be used as a finish coating option for most Epoxy.com Flooring Systems. Epoxy.com Product #675 Electrostatic Dissipating (ESD) Water Borne Epoxy Topcoat is a pigmented, water emulsion epoxy electro-static dissipative finish designed to have maximum penetration into concrete surfaces to provide high bond strength and adhesion. It has very low odor and can be used in occupied areas as a finish sealer in Thin-Film Electro-Static Dissipative Coating Systems. Epoxy.com Product #676 Novolac Epoxy Chemical Resistant Conductive Floor Coating is a 100% solids – Zero (0) VOC epoxy Novolac Chemical resistant conductive (anti-sparking) epoxy flooring and floor coating system ideal for severe chemical and solvent storage requiring a chemically resistant conductive and spark resistant surface. For help in selecting the right conductive flooring system for your application please call technical support at 352-533-2167 or email me at norm@epoxy.com. 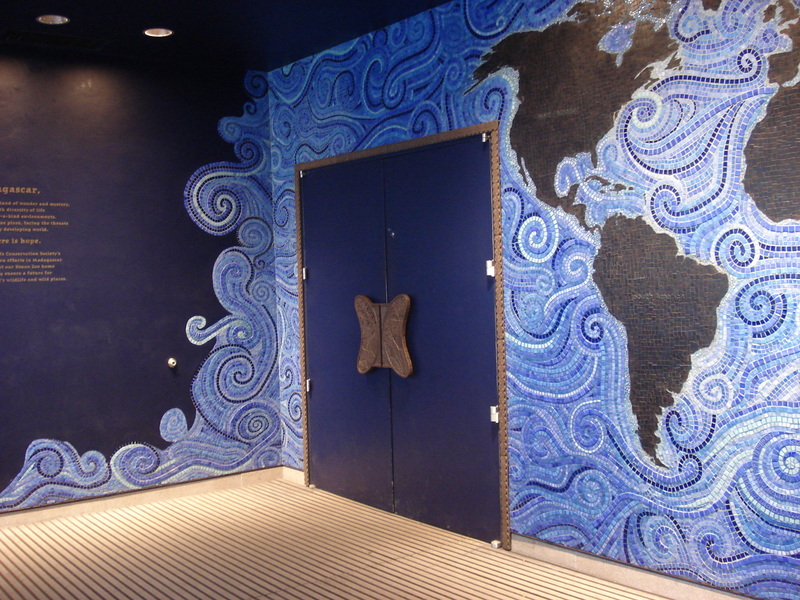 Having the knowledge of which type of sealer to use is extremely important to the overall satisfaction of the job. There are 3 basic types of epoxy sealers. The first is 100% solids epoxy, solvent based sealants and finally water based sealers. There are also urethane and acrylic sealers. To understand how each sealant works one must understand how they act as an epoxy. http://www.epoxy.com/primersealer.aspx . The 100% solids epoxy when applied to a floor retains a consistent thickness. Epoxy.com #15 http://www.epoxy.com/15.aspx is the best product for maintaining a clear epoxy sealer without any loss of thickness due to evaporation. If you roll a gallon of material on your floor, when it hardens you maintain the thickness of the full gallon of spread coverage. Epoxy.com #15 can be used to seal previously installed epoxy and river rock stone on pool decks or walkways. It also seals Epoxy Chip flooring, as well as acts as a binger and sealer to Epoxy quartz flooring. It provides protection, just the right amount of shine and helps to keep the water from permeating the underlying concrete. It also works well inside in garages. It is our most versatile sealer that we offer it works great on concrete inside and when properly installed outdoors. When you apply a water based sealer or solvated sealer you will consistently loose a percentage of the thickness due to evaporation. Even though this is the case there are times when a 100% solids epoxy may not do exactly what you need it to accomplish. In this case we offer products with different components and viscosity to suit your needs as a consumer. Epoxy.com #671 is a low viscosity, two component, carbon filled, polyamide modified conductive primer/sealer formulated with special wetting agents to provide maximum penetration into concrete surfaces. Product #671 Primer Sealer is ideal for both new and old concrete surfaces. Product #671 Conductive Epoxy Primer Sealer provides excellent resistance to wear, and can be used either alone or as a conductive sealer or as a conductive epoxy primer when used with Product #674 Electro-Static Dissipating Urethane Topcoat and our Conductive Systems. Epoxy.com #80 is a solvented clear acrylic solution formulated to create a clear, non-yellowing protective coating. Product #80 ACRYLIC SEALER http://www.epoxy.com/acrylic-sealer.aspx provides a tough, UV and abrasion resistant film that effectively protects surfaces from moisture penetration, staining, dirt, dust, and wear. It is good for both indoor as well as outdoor applications. This works well to seal existing terrazzo floors and as well as slate. For those in California, who don’t want to use a 100% solid material, we offer Epoxy.com http://www.epoxy.com/High-Solids-Urethane-Coating.aspx Epoxy.com # 441 is free of the health and environmental problems normally found in solvent-based urethanes, while maintaining excellent performance properties. The very low VOCs allows this urethane coating to meet the strict low VOC standards. Epoxy.com # 441 Polyurethane Coating and Sealer provides a matte finish. Product #441 water-based urethane coating and sealer has good chemical, stain, and mar resistance. Finally the most important thing to remember when you are choosing an Epoxy.com Sealer is to make sure you are using The Right Product for The Right Job. If you would like assistance with your selection please call our Technical Support Line at 352-533-2167 and we will be happy to assist you. This is the time of year when the ground thaws and basements leak. If you are one of those building owners, here are some earlier posts that you will find useful.